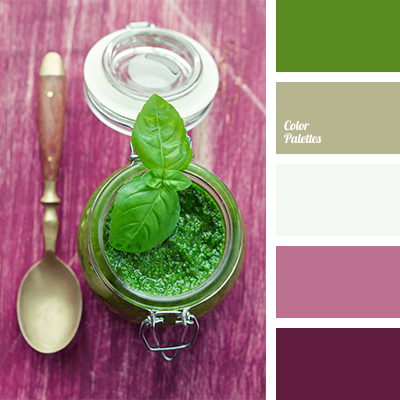 Bright salad green with pink and eggplant creates a very interesting and harmonious color scheme. 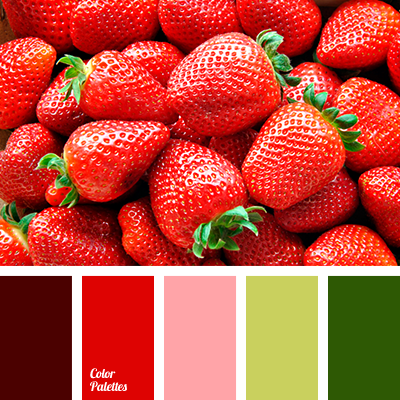 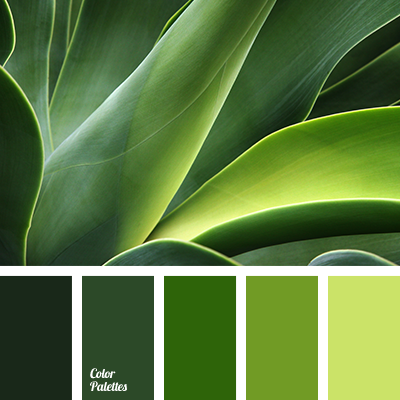 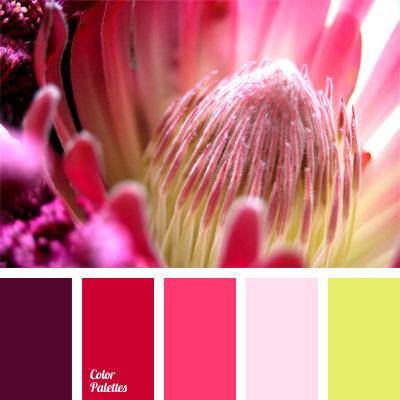 These colors are complementary and will look good in the rooms designed for work and artistic activities. 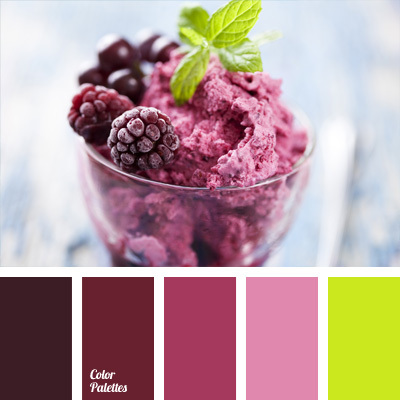 "dusty" green, "dusty" lilac, basil color, bright green and pale green, bright green and pink, color selection for redecoration, dark pink, deep pink, designer palettes, eggplant lilac, green and pink, light eggplant color, pale green, pink and green, salad green and pink, shades of green, shades of pink.